Joanne Martin is an award-winning Canadian musician and composer, internationally recognized for outstanding contributions to the field of Suzuki music education. 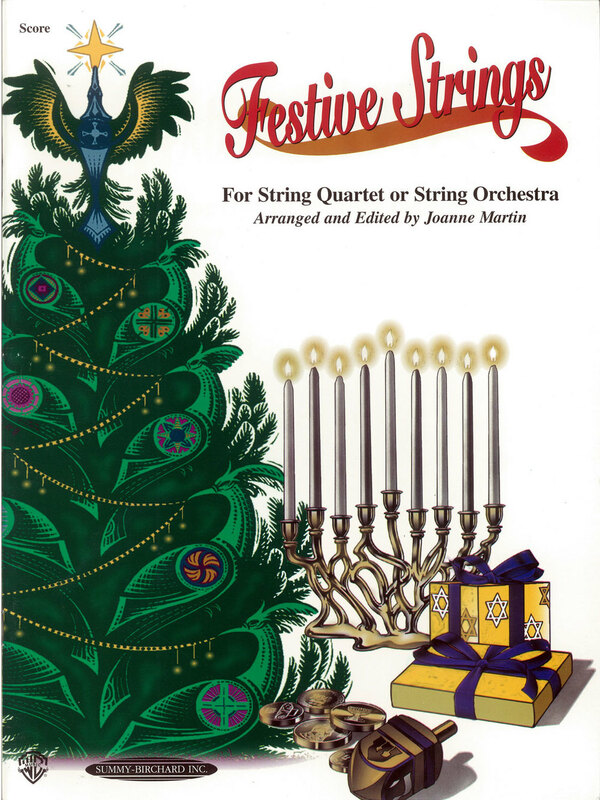 Two lively numbers from what may be Offenbach’s most famous operetta, La Vie Parisienne, arranged for intermediate to advanced level violin, viola, or cello quintet. 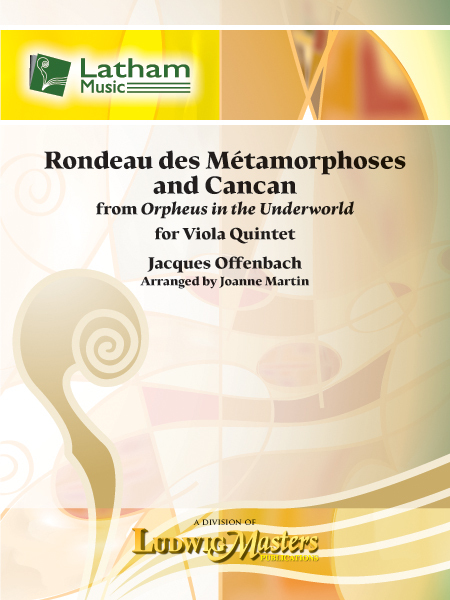 The Rondeau des Métamorphoses is a light and lively melody, and the well-known Cancan brings visions of high-kicking dancers in brightly coloured costumes. The violin, viola, and cello versions are fully compatible. The melody passes around the ensemble, and the parts are of equal difficulty. 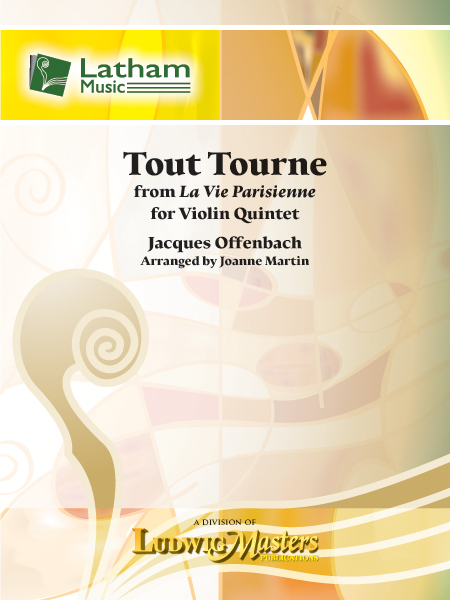 This lively melody from Offenbach’s operetta La Vie Parisienne is arranged for intermediate to advanced level violin, viola, or cello quintet. The violin, viola, and cello versions are fully compatible. The melody passes around the ensemble, and the parts are of equal difficulty. 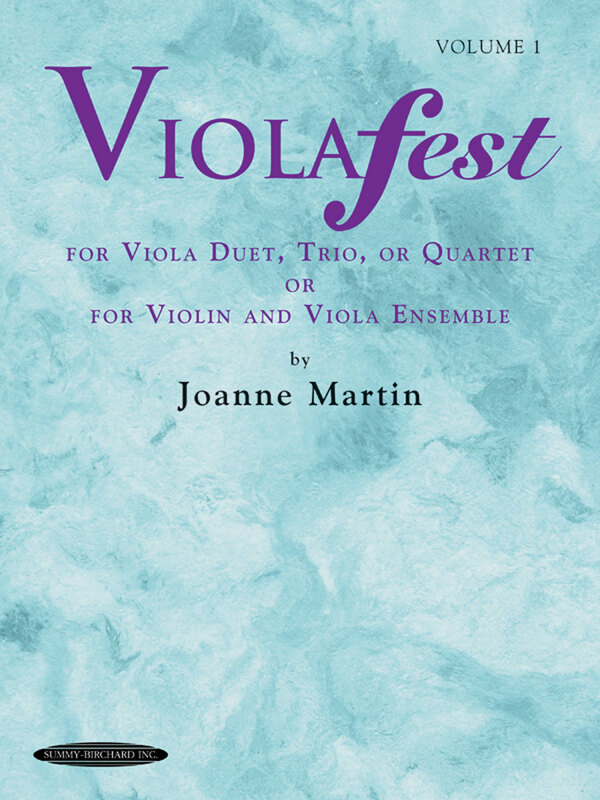 The well-known Barcarolle, from Tales of Hoffmann, arranged for intermediate to advanced level violin, viola, or cello quintet. The violin, viola, and cello versions are fully compatible. The melody passes around the ensemble, and the parts are of equal difficulty.